The other day, I was talking to my friend, on the phone, when I said “Well, I better run. I have to clean the house because it is a mess!” In which she replied, “Mine needs to be cleaned, too, but the kids want to play outside.” That’s when it dawned on me… it is a constant decision that is on my mind: Play & make memories, or clean & have a home that looks nice. I choose daily: Do I go on a bike ride or clean up the kitchen? Play with baby dolls or do the laundry? Make a nice dinner or throw a frozen casserole in, but have time to take the kids on a walk? My friend and I make jokes about those memes and quotes that say “Cleaning can wait… I’m busy making memories with my kids.” The reason? Cleaning can’t really wait. You have to clean. It isn’t actually an option. I know I don’t want to live in a dirty house and neither do my kids. On the other hand- they would probably prefer spending time with mom over a clean house. Again- a catch 22. I realized that it really wasn’t fair to him. He was coming home from a 10 hour work day, at a job he disliked, to a house that was in disarray only to spend his evening hours helping me clean it up instead of doing something we liked or wanted to do instead. I realized it wasn’t fair to me. I was spending all of my waking hours playing with my kids, so I wouldn’t feel like I was neglecting them, but then I was spending my ‘off-hours’ (after the kids were in bed) running around like a madwoman trying to do my chores. I let myself let go of the guilt and let myself let go of the chores in the evening. I started doing things during the day. I remember my mom doing chores, so why did I feel bad about it? The kids didn’t even skip a beat. I would do laundry while they played in my room, and we talked. I started cooking dinner while they played with a plastic kitchen (in our regular kitchen). I started running errands with them, not waiting for my husband to come home. I started working out at the gym at a normal hour (instead of 5:00 am so my husband would be home while they slept), and knowing that just because they cried when I dropped them off in the nursery wasn’t the end of the world. They were safe & taken care of. I followed this declutter schedule & finally had a house that was clean & decluttered and only needed a 10-minute pickup (with the kids) before naptime & bedtime. When I let myself let go of the guilt, things got easier. If someone stopped by, I wasn’t nervous about the house, because I had spent time cleaning it in the morning. The evenings were ours again- I could watch my favorite show or a movie and not have to spend 2 hours cleaning, which was great for our marriage. So, yes, cleaning did make a happy marriage because it made me less stressed and happier. It did make a happy marriage because instead of me being grumpy (because I felt guilty), I was happy most of the time. 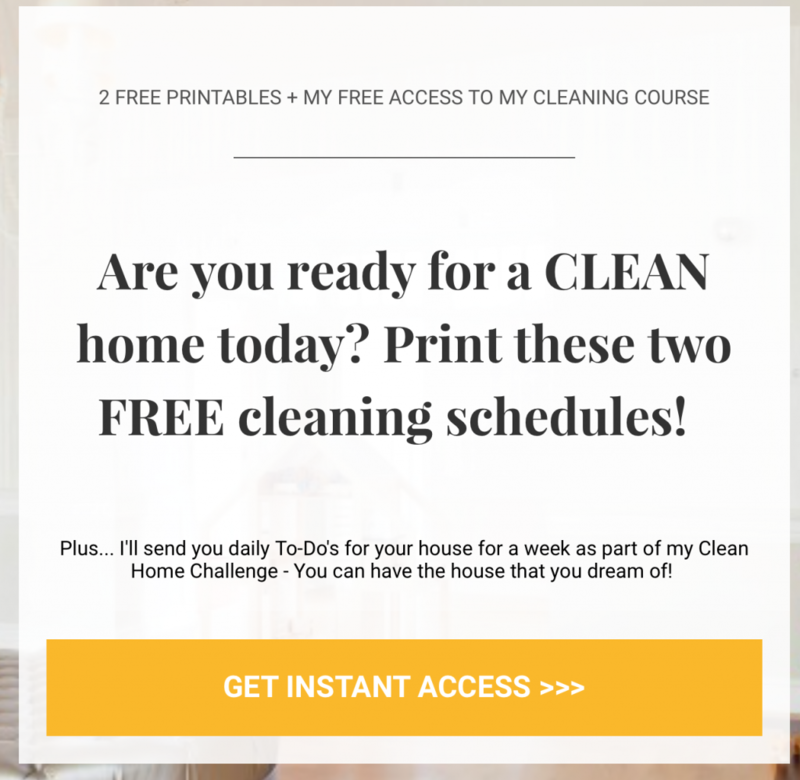 1- Find a cleaning schedule that works (We suggest taking this course & following it). 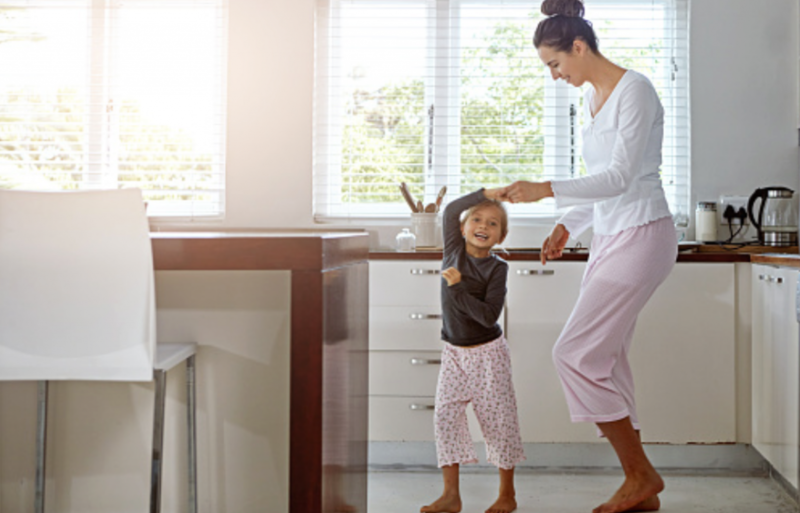 2- Stop having that “mom guilt” and start letting yourself live a normal life. Letting your kids learn to play without your lead all of the time is a great gift to them. 3- If it feels overwhelming at first, get a little help from your husband, a friend or your mom. Let them come in & help do that first initial “scrub down” and then keep up with it daily. 4- Get the kids involved! Here are some age-appropriate chores.